It is the Wednesday, so that means it's time for another edition of Daily Turismo's weekly game of oil stain bingo also known as Mid Week Match-Up! Last week we found the a Chinook camper for Laura, and had many good suggestions from readers. 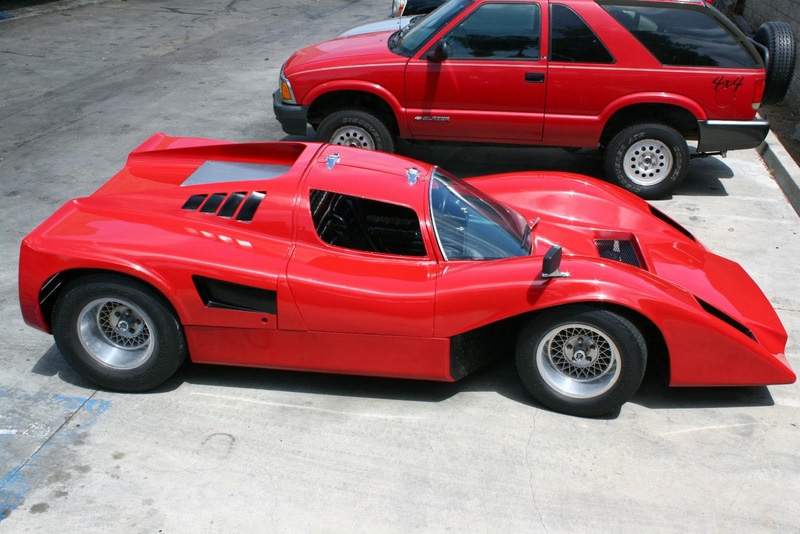 Today, we hunt for another specific car, this time a Manta Mirage like the one featured here in Jan of 2014, for Chuck a former McLaren M8E racer. This request comes from Chuck who says he is one of the only surviving McLaren M8E drivers still on this rock. He sounds like someone I'd love to help and has been searching for the elusive Mirage for a while. The best I could find is a recently deleted listing that still lives on in an advanced google search -- it was listed in Denver on Nov 11 for an unknown amount of cash. Help Chuck find a Manta for his garage. Comments below. Well holy crap I don't think I've ever remembered anything about the Manta, what a cool creation. I would like one also, and a few other guys here might as well, so lets just get down to business and build a dozen more, maybe even with a lot of carbon fiber now too. Cool idea, someone has to own the original molds!?!? Like getting Adidads knock-off shoes from the friendly street vendor. The Manta Montage. VW 1300cc, 15x12 rear wheels, needs an interior. Only $12,000. On a serious note, it seems that one sold recently on eBay out of Alpharetta GA if this is accurate. I believe there's a find in Beverly Hills @ Milton C. Hardcastle's mansion.